Holy cow is this post late!! Here I sit in the cold winds of January typing out a race report for a race that I took part in almost 3 months ago! You may be asking yourself why I’m so tardy with this season-closing post, especially given my pretty good result? Well, less than 1 week after the race, I was leaving for a 3 week expedition / vacation in Patagonia, and upon my return, I discovered I was going in for ankle surgery less than 1 week later. Since that time, my focus was on recovery and a host of other pre-occupations. Nonetheless, dear readers, I did NOT forget about you, nor did I forget about the race. With that rambling apologetic introduction, let’s get into it, and try not to go too deep into analyzing a race I don’t fully recall at this point :-). Well friends, it all boils down to this blog post for 2018. The big one. The main event. The one for all the marbles. 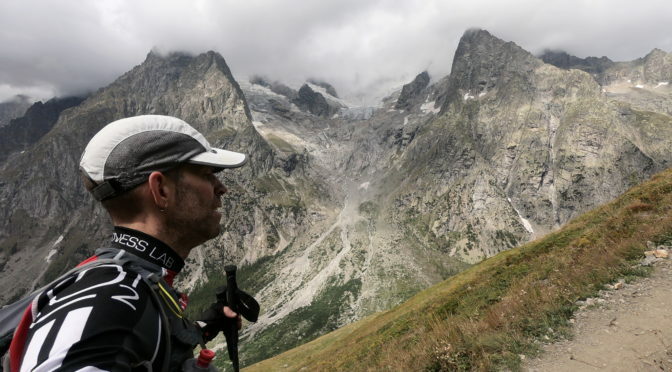 Yes, it’s finally time to spill pixels and re-tell the tale of my experience in Chamonix, France for the CCC (Courmayeur, Champex, Chamonix) trail race. For the uninitiated (shame on you! ), this is essentially the super bowl of trail running on the global stage. 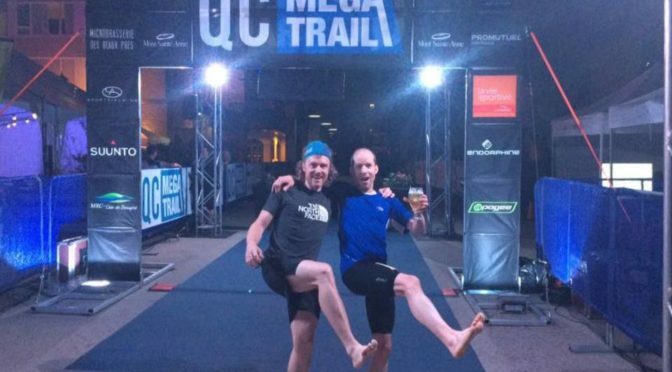 Road runners have the world majors, trail runners have the UTMB trail races that take place in Chamonix. Even getting to the start line has its own strict requirements, that for some racers can take years of trying. For starters, you need to qualify. This means collecting points in other races. Each race requires a certain amount of points collected in a certain number of races. Once you have the points, you have to enter a lottery (yes, for real), and hope you get drawn. Once you secure an entry, you have to finalize registration, submit a medical certificate, and stay healthy till the main event in September (lottery is in January). What follows is my story of the event (but not the entire journey!!). 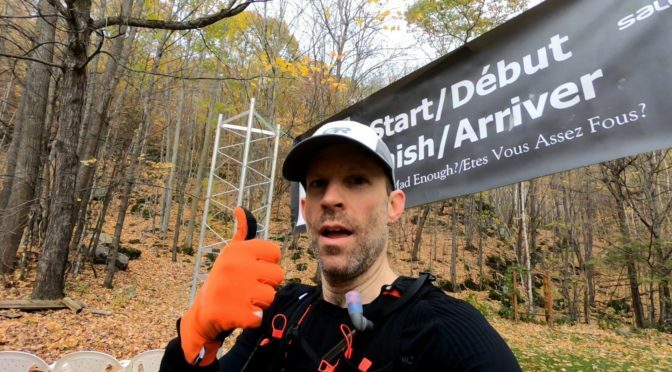 Fresh off the heels of my successful running of the 100k Quebec Mega Trail, and leading up to my next major race of the year (the Canadian Death Race), I decided I wanted to keep the momentum going by taking on a shorter race not TOO far from home. 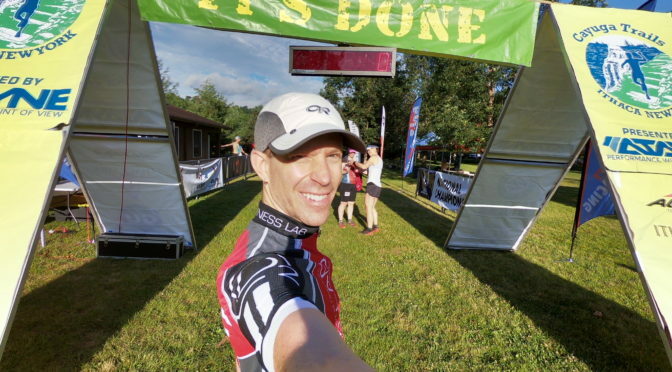 After consulting a calendar (and past experience), I decided to head on down to Ithaca, NY and tackle the Cayuga Trails Marathon race course. I’ve done the 50 miler twice, but decided that a single loop of this beautiful yet challenging course would be enough for a good weekend workout. What’s more, I had friends going AND Deanna was also going to run the marathon. Sounds like a great weekend, right? Read on for the story of the event! 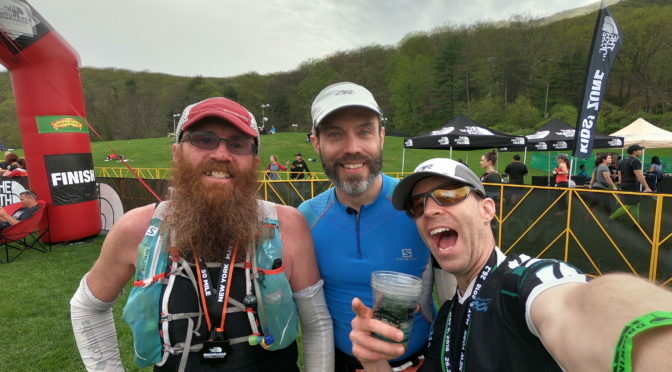 When you last heard from me, I was gallivanting through the hills of Bear Mountain, NY, struggling through my first trail run of the season, which also happened to be my first race of the season. 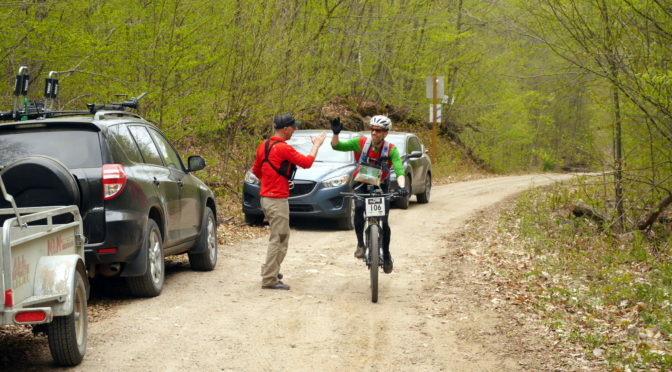 Fast forward 2 weeks, and I was back out there competing in another race. However, I opted to go back to one of my other passions, Adventure Racing! I figured that since my foot has been a problem, I should dive a bit back into multi-sport racing. So with that, I found myself at the start line of one of my favourites, the 8-hour Raid Pulse Adventure Race with many old friends. Although it was my first AR in 2 years, I had high hopes, and was racing solo. Whatever the course may hold, I knew either way, it would be fun. Did it all go to plan? Definitely not, so read on to learn more about his adventure!